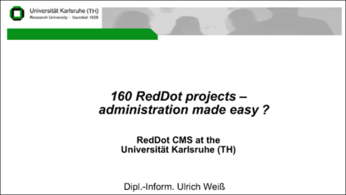 Bei seiner Gründung 2002 hatte die Open Text Web Solutions Usergroup (RDUG) sich auf die Fahnen geschrieben, die Verbreitung der RedDot Technologien und des Know-Hows über Content-Management-Lösungen zu fördern. Bei aktuell 80 Mitgliedern, mindestens drei Tagungen pro Jahr und zusätzlichen Workshops kann man behaupten, dieses Ziel bisher erreicht zu haben. 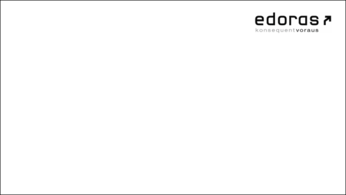 Inzwischen steht jedoch nicht nur RedDot Solutions AG mit 10 internationalen Niederlassungen, weltweit 1700 Kunden und zahlreichen internationalen Projekten viel globaler da. 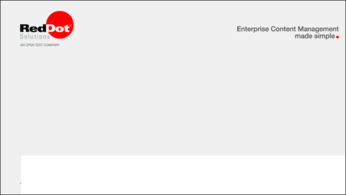 Auch die Open Text Web Solutions Usergroup ist davon überzeugt, dass eine Expansion in das internationale Projekt-Geschehen sinnvoll ist, um dem Gedanken eines vernetzen Know-How-Transfers in seinem ganzen Potential zu begegnen. 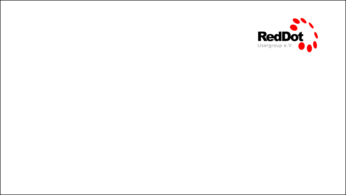 Die RDUG ist ein unabhängiger Verein, gleichzeitig will sie mit dem Unternehmen, das sie begleitet und mit den Entwicklungen der Zeit Schritt halten. Im Rahmen LiveForen und der abschließenden Diskussion wurde eine europäische Erweiterung des Vereins beschlossen. In der Umsetzung wird hierzu versucht, Englisch als Verkehrssprache des Forums zu etablieren. Außerdem plant der Verein für 2007 zwei weitere englischsprachige Konferenzen, am 2.-3. Mai in Stansted und am 8. Oktober in Frankfurt a.M.
Perspectives to the international activities, feedback, acquisition of partners. Controlling the Global Information Management (GIM) process becomes more and more critical for global acting companies. 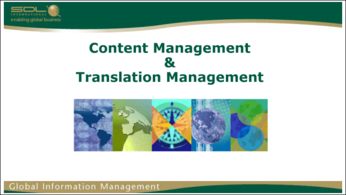 A successful CMS implementation solving GIM challenges requires the control of your Language Assets by considering “Best Practices” in: Translation Management and Terminology Management. There is a current and increasingly common strategic agenda to share and syndicate content and applications beyond your own home domain. 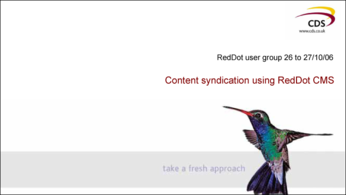 RedDot can play a key role in enabling this agenda whilst maintaining content control, utilising technologies like RSS 2.0, XML, and channels like WAP. 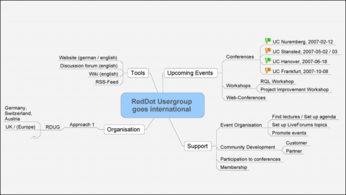 Experiences and impressions from the 2nd RDUG-RQL-Workshop in Karlsruhe. The lecture will also give prospects of RDUG activities concerning further workshops. Over the past years strategies and tools have been developed to structure and to organize content. So what have we done and what is on the agenda for the years to come? 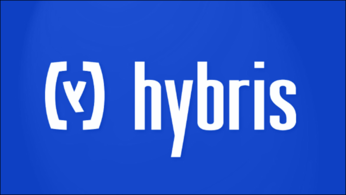 Andrew Piscina, hybris UK Ltd. The management of content and digital assets for a web project has almost become a given within the industry with the emphasis changing away from the management and focussing in on the delivery of personalised and relevant content, to the right people at the right time. Andy Bellinger, Marketing Manager, RedDot Solutions Ltd. und David Ryan, Team Leader Professional Services, RedDot Solutions Ltd. 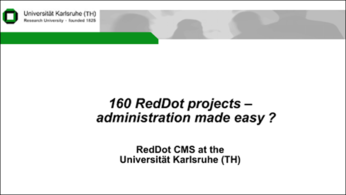 The University of Karlsruhe (TH) hosts one of the largest RedDot CMS installations in terms of number of projects: so far the team manages more than 160 CMS projects. Hier finden Sie die vollständige Agenda der Conference.